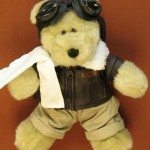 I found this little Air Force Bearista Bear in a garage in Renton, Washington. As I wandered amongst a permanent garage sale maze of cups, tumblers, a rounder of old clothes, bags, and even very old coffee, I found this little bear. This blog post is just my personal stories, not really related to Starbucks, so please STOP reading now if you’re only interested in Starbucks content. I picked the bear up and had a rush of memories fill me. 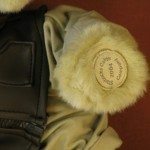 It was an Air Force Bearista Bear. In the mid-1980s, as an 18-year-old fresh from Orange County, California, I joined the Air Force. I didn’t know where I was going, or what I was going to be doing, but I was ready for an adventure. I signed on the dotted line, and the next thing I knew, I found myself at Lackland Air Force Base in Texas. It was so hot. August for basic training was brutal. We started push ups early in the morning because it was cool out but the good thing was that it was still dark. I always thanked the Air Force for that. I was no good at push ups, because my natural inclination is to be a couch potato. The dark Texas sky hid the fact that for six weeks I always did a few fewer push ups than what was actually required of me. From Lackland Air Force Base, I was sent to Shepard AFB for a “training school”. I learned how to be a dental assistant. It was brutal marching to class so early in the morning, but somehow I made it through that. By January of the next year I was ready to be shipped to my first real permanent assignment. I was still 18 years old, and I received orders that I would be going to Torrejon Air Base, which is near Madrid. Off I went. Being at Torrejon Air Base was an amazing experience for me. One of the unique things about Torrejon was that it had a morgue on the installation. The military (as I understood it) had a rule that before a body could be shipped home to the states, if the person died an un-witnessed death, the body had to go through an identification process. This meant that when a body arrived at Torrejon, a dentist and a dental assistant would be summoned to the morgue to take a few dental x-rays to make comparisons against existing military dental records. Once in a while other medical type personnel would be called in also. This morgue serviced Rota Naval Station personnel, Zaragoza Air Base, and Torrejon. I was young (I turned 19 and 20 during my two years at Torrejon) and I easily just did as I was told without question or complaint. Somehow someone decided that “Airman O” (me) should be the dental assistant on the morgue team. And so once in a while I’d get an odd phone call telling me to run to the morgue, and I’d get there and find a dentist waiting for me, and I simply waited for instruction and did exactly as told. “Take an x-ray of tooth #30, Airman O.” And so on and so forth. While I was stationed at Torrejon I would have these moments where I would think things like, ‘so this is what it looks like if you drown to death.’ The body smelled bad and had a grossly distended stomach from having taken in so much water. The skin was stretch and bloated, and it looked like an awful way to die. When I arrived, I would have no idea what to expect. There was no preparation before I walked into the morgue. I had only one job: Be ordered around to take dental x-rays. Of course there were lots of happy and amazing experiences at Torrejon too. It was great exploring the city of Madrid. This piece of my job function of taking x-rays on dead people was just a very tiny slice of my life at Torrejon, however, very memorable. 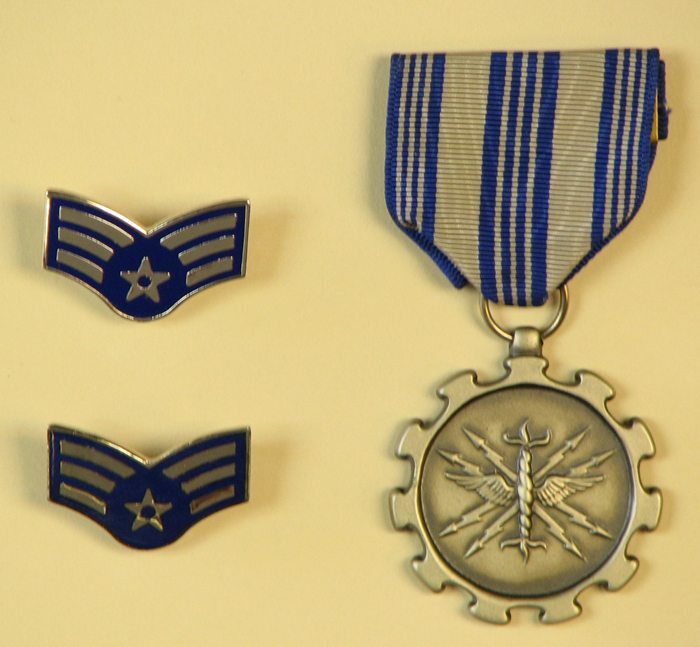 Shortly before I left Torrejon, some superior recommended me for an Achievement Medal. I don’t really feel like I achieved anything great but I think that I received it partly for being the low man dental assistant always willing to be a part of the mortuary identification team. If it hadn’t been me, somebody in my dental clinic would have had to have done this task. In very early January 1988 I received orders that my two-years overseas tour had come to an end, and that the Air Force would be sending me to McChord Air Force Base, in Tacoma, Washington. I stayed at McChord until I finally came to the very end of my four-year enlistment. I separated with an Honorable Discharged, and moved to Seattle in 1989 to begin school at the University of Washington. I apologize for the heavy and sober tone of voice to this blog entry. We will return to light-hearted Starbucks chatter soon. The moral of the story is hug the ones you love everyday. This is an amazing and super interesting story, Melody! The story is really emotional, I liked it…even if it has nothing to do with Sbux than this little Bearista. I wonder why you, as a woman, went to the Air Force or army in general. So you went there by choice, or did they draft you? Because in Germany it is, still today, normal that the army can draft you in the age of around 18 to join it in a certain area for half a year or something….but I thoight in the US this would be different. And especially as a woman…but I think in the US the proportion of women in the forces is much higher than it is here. Such an adventure is at one side very scary and you better not experience it, but on the other, as you said, it also brings you ahead in your life and learns you to really enjoy it. The Bearista is REALLY nice!! I wonder where it was sold? There are a few Starbucks on U.S. army bases, also abroad….perhaps only there? 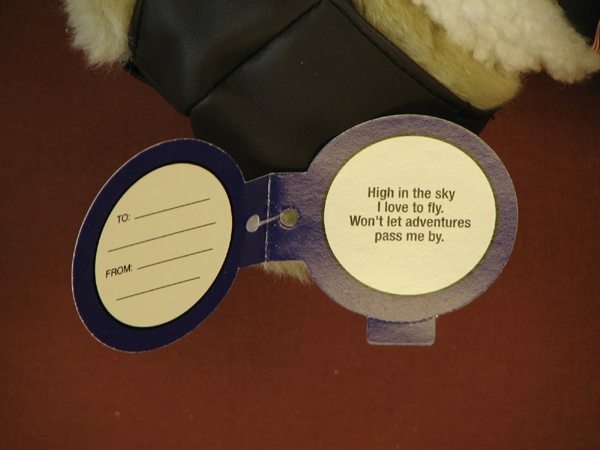 @Sbirr … we had them in Australia a little while ago – maybe launch of Spring ’09 or ’10? I’ve definitely sold him! So he must have been around! Thanks for sharing such a personal insight Melody. And thank you for your service. It may seem “low man dental assistant,” however if it wasn’t done, the families would never have had their loved ones identified. And what you say is true, Melody, about hugging the ones close to you. Today, it would have been my father’s 56th birthday…dealing with death is indeed a very sobering experience. I only have memories of him now. Oh Melody!!!!! this is THE best. (and I have already thanked you for your service, as I do all military). The fact that you found an AFB bear is amazing!!!! how totally cool! 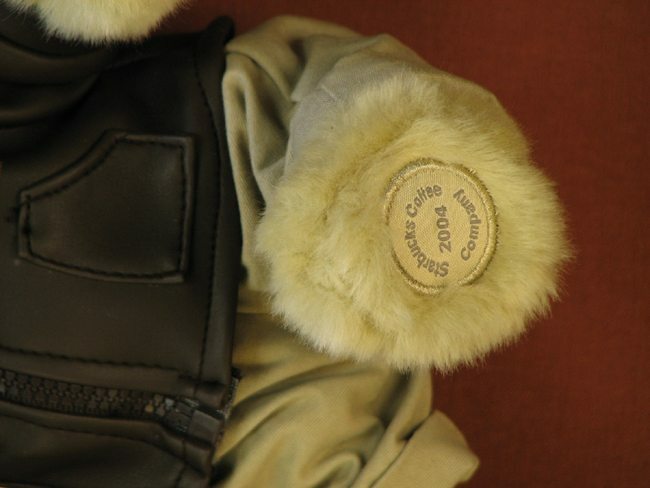 and speaking of Sbux bears, that’s what they should do, especially now make a bear for each branch of the military. I cannot believe they would not sell! and on the military note: how odd, just yesterday I was in a nearby salon getting a manicure. There was an elderly man there who reminded me SO much of my dad…who died at the age of 91 1/2 in ’08. We started talking…his wife asked me to guess how old he was…he looked great! He was 96!!! and so of course I knew he’d likely been in WWII, which he had, and then he told me “Army Air Corps”, same as my dad. That branch ended in 1947 (I bleieve) and became the Air Force of today…the one you were in Melody. It was so nice talking to this man…I told him about my dad’s military funeral and how he got the rifle salute (which we weren’t expecting) and then how the elderly veterans who did all this (since I believe they have to be from your branch, so, obviously these guys are all gonna be not young) picked up all the shell casings and gave them to us. I had a little hole drilled in one and carry it on my keys…..I showed it to him. He was really touched….I think he was getting an idea of how it would likely be for him and also, I think, he could see the love I have for my dad, and how much I miss him. ughhhhhhhhh…..
I’m just amazed you found this bear! How great! and really wonderful to hear your stories! Great post Melody! Many of us never knew that about you, but I’m sure we’re all glad to be connected to you a bit more. My dad was in the Air Force as well – joined at the age of 18 because he didn’t know what he wanted to do, he was always a class clown and goof-off in school, he told me. He served in Vietnam and then was honorably discharged then went for and finished his Bachelors degree later. 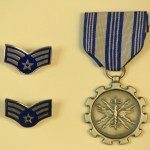 Melody I have to agree with others that this sharing of your experiences with the Air Force are quite moving and I thank you for taking the time to share it with your blog community. What made you decide to go to law school? I know that is not a question related to SB, but sure would be interested in knowing. I am so glad you found that bear. That was an amazing story Melody and I enjoyed reading it and would not mind reading some of your other experiences. I always regretted not going into the military service but I was a 4F and they didn’t want me. Wow, amazing story, Melody. Thank you for sharing. Wow. Part of what I love bout your blog is how personal you make thr starbucks experience. I somehow had no idea you had been in the military until last night when you mentioned it. Thank you for serving the USA. You’re a brave and fascinating person and I really enjoyed reading this. 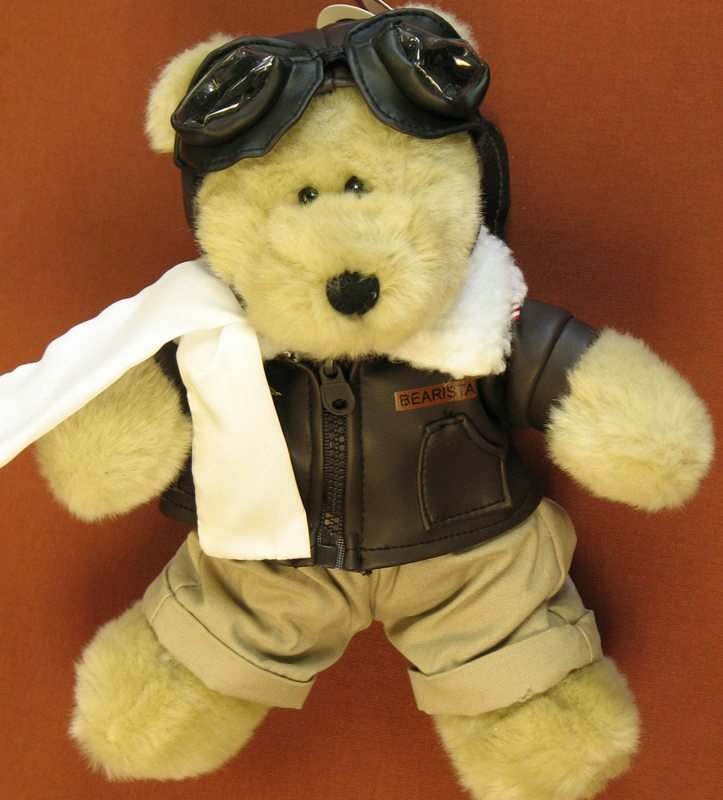 The (almost) funny thing is someone gave me one of those starbucks air force bears once. I have no clue where it is but I totally have one. I really want to reply to everyone – So this reply is really intended for everyone! Thank you so much for commenting on tis thread. I really debated wether I should post such a personal story at all, so even having a few comments makes me feel better about it. I definitely know that the Army Air Corp later became the Air Force. I can remember sitting in a class in basic training learning some basic military history. One thing that is a little sad to me is how few people serve. This is going to sound strange but when I meet people who have served, they’re often baby-boomers age. Often people who were drafted. I actually meet very few generation X (my generation) or younger who have just volunteered at the age of 18. I fully believe that those volunteering should be from all socio-economic walks of life but it seems that more and more the young 18 year-olds joining come from poorer backgrounds, and that fewer and fewer middle class privileged children really consider an enlistment as a viable thing to do. I guess I got lucky that I was in the service during four very peaceful years. I had good timing. I was 18. That about says it all. My parents weren’t going to help me with college (long story) and I wanted an adventure and wanted to leave southern California. Still to this day, I think that the Air Force was the right choice. Hayley, I love hearing about your dad. That’s another good story. Melody, you are such a talented writer. Thank you for your service, lady. And thank you for sharing this heartfelt story. I love the message. Although you’re a customer, you do a fantastic job of upholding the Starbucks Mission Statement of nurturing and inspiring the human spirit. I don’t think you should ever worry about sharing personal stories. Yes, your blog has a Starbucks focus, but with all the networking you do to make this site popular, your readers are naurally bound to be curious about YOU as well. Melody I agree with Michelle and others that it is so nice to read of your Air Force experience and other personal experiences. It truly adds to your blog and makes it a special blog to read. Thank you again. Melody: it IS all personal. it’s all personal. and that’s a good thing! I agree with you about the younger generations and the military…..you are rare. 😉 truly, tho. I am so glad that my 20’s and 30’s neices and nephews at least got to hear all my dad’s WWII stories. and one of their dad’s (my brohter-in-law) was in Viet Nam, altho, I have found, most vets really don’t like to talk about that war in much detail…at least not to those of us who were not in it. When you share this stuff, or when any of us do, we are passing on history, We are telling our story. and that’s a very good thing. I am grateful for what I learned from all my dad’s tales and also yours. it’s a goog thing. Lots of comments directed to me – Glad you guys like this. And @CamSpi, glad you like my writing style. What a great post, Melody. Thanks for sharing and thank you for serving in the military! What a great post! And I am in love with that bear. My sister is currently in the AF reserves down in Charleston SC, and is also a Shift Supervisor at Starbucks! She would absolutely love that bear! Melody – thank you so much for sharing this glimpse into your life experiences outside of being Starbucks biggest fan. And thank you for serving. 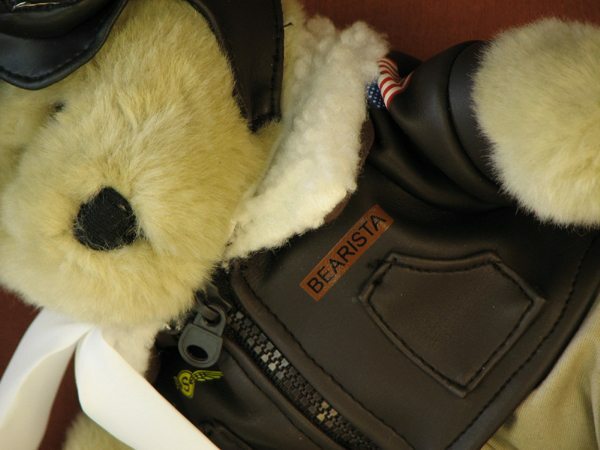 That bearista may be one of the cutest ever, btw. Melody, thanks so much for sharing your experiences with the world! 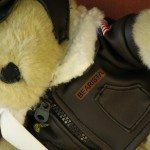 It’s pretty amazing how something like a bearista can bring back such emotional memories! Very, very nice story. I knew it would be well received, Melody. Thanks for sharing. Melody, this post was fabulous! Thank you for serving, and thank you for sharing your heart with us. Never think that that’s not appropriate! Melody….thanks for the story. It is interesting how seeing a certain item will trigger a memory like that. The only experience I ever had with the Air Force was a full-bird Colonel pulling me out of class in High School to talk to me about playing football for the Air Force Academy. It seemed like the strangest thing. After I didnt get a Congressional appointment I lost interest, although I was told there are special “football” appointments made (probably after all the super-smart people are let in.) From what I have read since, I don’t think I would have been cut-out for service academy life. (And I would have graduated right when the Gulf War was ramping up) I knew enough ROTCs at UW that went to that! Melody thank you for sharing a bit about yourself with us, it made me immediately think of my friend who is just finishing up AF training school (Friday) and will be deployed to German right after. I tend to buy or keep things because they bring back memories, and I am glad this little bearista brought back some for you to share with us. Thanks for sharing your story Melody. I’m always amazed at how the littlest things can bring back a flood of emotions and memories. From a Lt. Col., (ret.) 23rd STS, to Melody aka Airman O, thank you for sharing your USAF experiences in such a candid and enlightening post. You are an exemplary example of the young men and women who make up the enlisted ranks of our armed forces. Thank you for your service. @bkpkgene – Thank you for the kind words. I salute you! Thank you so much for sharing your personal story – please never apologize for that. I feel a strong sense of pride and honor that you shared your experience with us. You are a wonderful example of the fine men and women who have served our country! Meldoy, thank you for sharing this wonderful story. While my stories are different, the emotions are the same. I sat here and reflected on the tasks and responsibilities that young enlistees carry and remembered how unique it is to feel helpless and empowered at the same time. Thank you for your service and for your excellent blog! I also was sent to Washington after serving overseas and decided to stay in the area. I am originally from Denver so I am loving the recent blogs about the Denver area! Ya know Melody, this post just might be one of my favorites of yours yet. 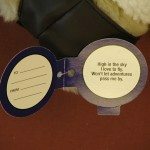 I’ve been following your blog for over 2 years, and consider it a bit of insider info as a partner. Today it touched me on a deeper level. Thank you. I appreciate your stories, info, and the full efforts of your heart that you put into this blog. You pour your heart into it. Melody, thanks again for a peek into what makes Melody Melody. A truly sincere “thank you for your service” from this old submarine sailor (in college I got thrown out of Air Force ROTC when the found out how bad my eyes were). Looks like this is a very popular post by the number of comments. I need to go back later and read all of them. This post was amazing. My parents met on torrejon AFB and it is where I was born! Thank you for letting us hear your story and congrats on that bear I use to have one too! My favorite thing from there was a hoodie with the base logo. It was long ago lost but I do miss it to this day! So hello from a fellow airman, Air Force brat, and Starbucks barista!